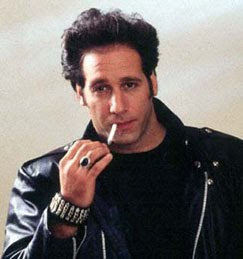 Twenty years ago today, on May 12, 1990, the controversial comedian Andrew Dice Clay hosted "Saturday Night Live," something which provoked much controversy at that time. I can't say that I was ever a fan of Clay; I've never heard any of his comedy albums, and from what I understand of the material, I wouldn't particularly enjoy it. 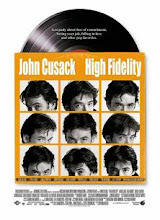 I did like his 1990 flick, The Adventures of Ford Fairlane, mainly because of its connection to and depiction of the music industry. I'm not certain that I even watched this particular episode of "SNL," but I certainly remember the uproar prompted by it, including cast member Nora Dunn and originally scheduled musical guest Sinead O'Connor's boycotting of the show due to Clay's participation therein. (Interestingly, O'Connor would court controversy on the show two years later when she held up a picture of the Pope to the camera and tore it in half to protest sexual abuse in the church.). There were not one, but two musical guests that night, Julee Cruise and the Spanic Boys. A detailed breakdown of the episode and its sketches can be found here. It's impossible to tell from his ''Saturday Night Live'' appearance, which was apparently meant to be the next shrewd step in the mainstreaming of Andrew Dice Clay. With two movies (a comedy and a concert film) coming out this summer, he can no longer afford to spit out expletives on live television, the act that got him banned from MTV and bought him just the kind of bad-boy publicity that has propelled his career. But instead of testing whether he can be more than a one-note performer, the show turned into a media event that gnawed at the controversy in one toothless skit after another. The most clever was the opening sketch, a parody of ''It's a Wonderful Life,'' with Mr. Clay threatening to throw himself off a bridge because of the fuss about his appearing as host. His guardian devil reveals what ''Saturday Night Live'' would have been without him: Ms. Dunn would have shown up and been squashed when Ms. O'Connor's amplifier fell on her. A distraught Ms. O'Connor would never show her nearly shaved head to sing in public again. ''That's too bad; she was a cute bald chick,'' says Mr. Clay in the Jimmy Stewart role. This mild self-mocking does not begin to suggest the offensive tirade of sexism that is typical of Mr. Clay's stand-up routines, and anyone who turned on ''Saturday Night Live'' without having seen him at his most vile might have wondered what the fuss was about. His usual comments about women are mostly unprintable, but a typical one involves whiling away time in line at the bank by molesting the woman in front of him. The chain-smoking, leather-jacketed ''Diceman'' is clearly a persona, but it is a role without any redeeming irony. Mr. Clay and the writers must have thought they were capitalizing on the controversy, instead of being sunk by it, but they made the wrong choice. The one truly funny episode was ''Ridiculous Bull,'' a black-and-white-parody of ''Raging Bull'' with Mr. Clay doing a mean impersonation of Robert De Niro as the out-of-shape boxer Jake LaMotta saying, ''Hit me with the sledgehammer, Joey. I'm your older brother, Joey, hit me with the refrigerator,'' in Mr. De Niro's nervous, repetitious delivery. The Diceman disappeared and a comic actor took over, raising new questions. 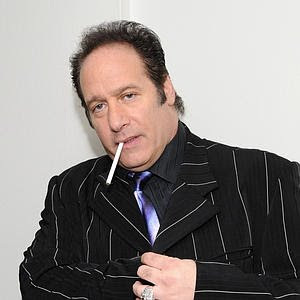 Does Andrew Dice Clay have a future in the mainstream after all? And if he does, should women ever forgive him for the way he got there? James's final questions are easily answered in 2010. Clay had no future in the mainstream, and of course, he had little future in entertainment at all after 1990, save for a few appearances here and there, mostly the type bestowed upon D-list performers. (Rumor has it, though, that Clay is now planning a comeback on the occasion of the twentieth anniversary of Ford Fairlane.). The second question, then, answers itself: women have not forgiven Clay, they have simply forgotten him, as have most denizens of popular culture. There is no worse fate in show business. Have they really forgotten him? If so, why is there this post or the quoted article? You want to know who is forgotten? Nora Dunn. Well, in fairness, the quoted article was published in 1990, just two days after Clay's appearance on "SNL." As for my post, I'm not sure it's a controversial statement to suggest that Clay has slipped out of the mainstream (or that his attempt in 1990 to mainstream himself failed). Perhaps these are some points I can expand upon in July when I publish the inevitable Ford Fairlaine twentieth anniversary piece? Thanks for mentioning Nora Dunn in that regard. While I admire O'Connor for her principled stand (which cost her a night's performance), I will always be in awe of Dunn (I think it cost her her job, I notice her contract was not renewed after the season ended that month, while the others that "played along" that week stayed with the show for years after). She did manage to have a career after SNL, but I believe her stand cost her plenty, and didn't get that much publicity. And, yes, ADC used to be one of my favorite comics, but then I started hearing that he was getting offensively raunchy at untelevised appearances. Eventually all his standup became gross and over the edge, while simultaneously his 'Ford Fairlane' movie showed him as more mainstream. (Standup routine joke: Clay talks about a wedding where the bride is supposed to be virginal, wearing a white dress. He and his pals say "White? I broke that b---- when she was 15!") I think of him as a major talent that made a very unfortunate decision on strategy for his career. I am always glad to see Nora Dunn in a role on TV. She did a gutsy thing that cost her. There was nothing "gutsy" about what she did. Her contract wasn't being renewed. It expired shortly after the incident. As a foul-mouthed angry teen at the time, I idolized ADC. It is a shame what I thought was cool then I am humiliated by now. I remember that Dunn's family was strong against horribly rude things too, and one family member was an Art teacher that suggested I stop using bad language if I wanted to be considered as kind. Her family member and Ms. Dunn's stand against Clay were principled and I secretly respected them. Dunn had turned away hundreds of thousands for the sake of keeping some semblance of ethics and respect.